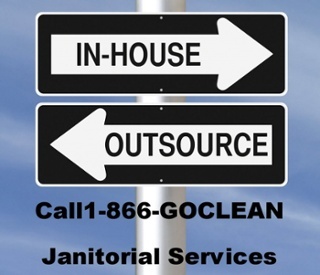 Can You Really Afford a Full-time Employee for Commercial Janitorial Services? Full-time janitors average $28,860 per year, or $13.87 per hour. If you’re okay with hiring inexperienced employees, you can get away with paying them less than $18,560 annually, or $8.92 hourly. But if experience counts, expect to shell out over $45,580 a year, or $21.91 an hour. Don’t forget to account for such things as taxes, holidays, and benefits. According to the MIT Sloan School of Management, these associated expenses can boost the cost of a full-time employee by 1.25 to 1.4 times. The average rate of a full-time janitor then becomes $36,087 to $40,404 a year. You’ll need to recruit or advertise, interview, hire, train, motivate, and review your new worker. They’ll need space in the office to work, maybe a parking spot as well as equipment and supplies. You’ll also have to come up with procedures and duties for them and manage their activities from time to time. You can easily gain the benefit of a cleaning employee without any of the headaches by hiring a commercial janitorial service. For a negotiated fee, we’ll take care of keeping your business spick-and-span. Please contact us today to see how we can help you.